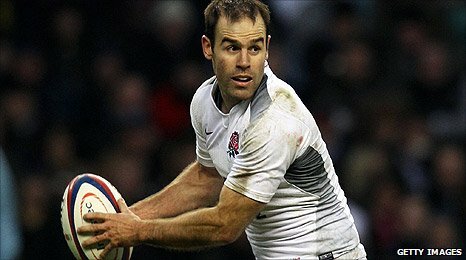 England manager Martin Johnson has called Charlie Hodgson, Louis Deacon and Joe Simpson into his 33-man elite squad for the 2011 Six Nations. Leicester Tigers lock Deacon and uncapped Wasps scrum-half Simpson replace Gloucester's David Attwood and Wasps' Dominic Waldouck. Sale fly-half Hodgson is back after suffering a broken foot in November. Injury replacements for Leicester's Tom Croft and Northampton lock Courtney Lawes will be named later this month. Johnson is likely to confirm the injury replacements before his squad head to Portugal for training on 23 January, with England set to open their Six Nations campaign against Wales in Cardiff on 4 February. Johnson's Six Nations squad is a good indication of the group he will take to New Zealand for the Rugby World Cup which starts in September - with future opportunities to impress the 2003 World Cup winner limited. He has resisted the option of recalling former captain Steve Borthwick, although it is possible the Saracens lock could still be promoted from the England Saxons as a temporary replacement for Lawes. Borthwick captained England on 20 occasions but has not played for Johnson's side since suffering a knee injury in the 15-15 draw against Scotland in March 2010. The loss of Lawes, who was England's player of the series in the autumn, is a huge blow, although Johnson is optimistic the 21-year-old's recovery from knee ligament damage might be quicker than the three months originally expected. "Courtney saw the specialist on Tuesday and, like in all these things, straight after the injury they take an image and interpret that," said Johnson. "I would love him to be out for just six weeks, it may be 10 weeks but it is probably going to be eight or nine weeks. These things can change week by week." An eight-or-nine week absence would see Lawes sidelined until the penultimate fixture of England's campaign against Scotland on 13 March, but he would not have any match fitness. However, Johnson was delighted to be able to call on Deacon, who missed the summer tour of Australasia and the November Tests because of a back injury. "With Louis' form and experience, bringing him back in was an easy decision," Johnson said. Attwood is serving a nine-week suspension for stamping and so takes his place in the Saxons until later in the Six Nations. Another option for Johnson at lock could be to promote Sale's 20-year-old James Gaskell to the elite squad next month, after his call-up to the Saxons. Johnson is also hoping Croft, who was thought likely to miss the entire Six Nations as he recovers from a fractured shoulder blade sustained against South Africa in November, could play a part before the end of the tournament. The most likely candidates to replace Croft from the Saxons squad are Harlequins flanker Chris Robshaw or either Tom Wood or Phil Dowson from Northampton. The call-up of 21-year-old Simpson means there are now three scrum-halves in the 33, while Hodgson joins fellow fly-halves Toby Flood and Jonny Wilkinson. Hodgson was recalled to the senior England squad last month for the first time in two years to replace the injured Wilkinson and won his first cap since June 2008 when he came on as a replacement in the victory over Australia. But the 30-year-old, who is set to move from Sale to Saracens at the end of the Premiership season, broke his foot during England's defeat by South Africa in November. Meanwhile, the Rugby Football Union elite director Rob Andrew is bracing himself for rows over the release of James Haskell, Tom Palmer and Wilkinson from their French clubs for England duty on the weekends of 19/20 February and 5/6 March when the Six Nations is on a one-week break. "We have been absolutely consistent from day one with all these guys and the French clubs about what the situation is and it hasn't changed," insisted Andrew. He has written to the players' clubs demanding they be released from their league commitments to join up with the squad for the training camp in Portugal. These same arguments surfaced last year, when the president of Stade Francais, Max Guazzini, said England were holding Haskell "hostage" after they refused to release him for a key domestic game. England's selection policy will change after the World Cup, when they introduce a policy of picking only home-based players. 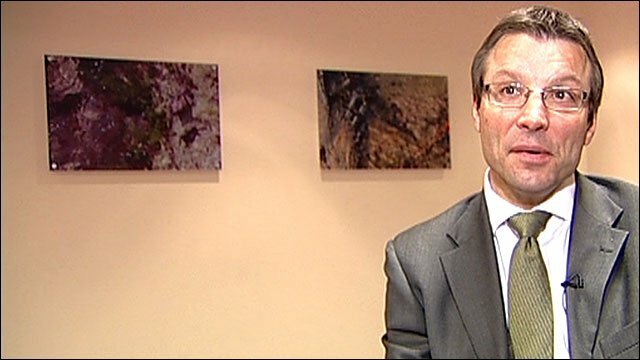 Meanwhile, BBC Sport understands that Andrew, whose role within the RFU has been scrapped, has been encouraged to apply for the new role of rugby operations director. Andrew has told BBC Sport he is "very happy" at the RFU and insists the focus is providing Johnson with the resources needed for success. "I have a job to do now and I am doing that job," said Andrew. "We will go where we go in the future but the important thing for now is that everybody at the RFU is absolutely 100% behind Martin. "We are planning meticulously around the start of Six Nations. We know what the plan is through the summer, through the training camp and through the World Cup in September. And that is all that we are focusing on." Forwards (18): Props: T Payne (Wasps), A Sheridan (Sale); D Cole (Leicester), P Doran-Jones (Gloucester), D Wilson (Bath); Hookers: G Chuter (Leicester), D Hartley (Northampton), S Thompson (Leeds); Locks: L Deacon (Leicester), C Lawes (Northampton), T Palmer (Stade Francais), S Shaw (Wasps); Back row: T Croft (Leicester), N Easter (Harlequins), H Fourie (Leeds), J Haskell (Stade Francais), L Moody (Bath), J Worsley (Wasps). Backs (15): Back three: D Armitage (London Irish), B Foden (Northampton); C Ashton (Northampton), M Banahan (Bath), M Cueto (Sale), D Strettle (Saracens); Centres: R Flutey (Wasps), S Hape (Bath), M Tindall (Gloucester); Fly-halves: T Flood (Leicester), C Hodgson (Sale), J Wilkinson (Toulon); Scrum-halves: D Care (Harlequins), J Simpson (Wasps), B Youngs (Leicester). Forwards (18): Props: D Bell (Bath), A Corbisiero (London Irish), J Marler (Harlequins), M Mullan (Worcester); Hookers: L Mears (Bath), R Webber (Wasps); Locks: D Attwood (Gloucester), S Borthwick (Saracens), C Day (Northampton), J Gaskell (Sale); Back row: S Armitage (London Irish), J Crane (Leicester), P Dowson (Northampton), L Narraway (Gloucester), C Robshaw (Harlequins), A Saull (Saracens), D Ward-Smith (Wasps), T Wood (Northampton). Backs (14): Back three: N Abendanon (Bath), A Goode (Saracens); U Monye (Harlequins), J Simpson-Daniel (Gloucester); Centres: A Allen (Leicester), B Barritt (Saracens), J Clarke (Northampton), D Hipkiss (Leicester), M Tait (Sale), D Waldouck (Wasps); Fly-halves: S Myler (Northampton) , B Twelvetrees (Leicester); Scrum-halves: P Hodgson (London Irish), R Wigglesworth (Sale).